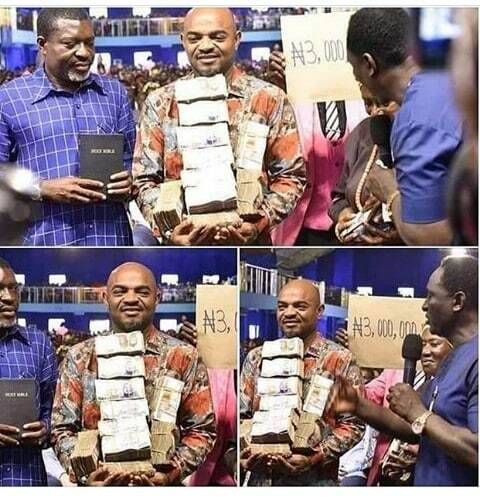 Popular Nigerian actor, Leo Mezie who is battling kidney dysfunction was gifted a sum of N3million by the General Overseer of Mercy Land Ministry, Prophet Jeremiah Fufeyin recently. Leo had been battling to raise a sum of N20 million for a kidney transplant abroad before the church founder came to his aide and was said to have met the man of God through president, Actors Guild of Nigeria (AGN) Ejezie Emeka Rollas. Nollywood stars including the likes of Segun Arinze, Chinwetalu Agu, Kanayo O. Kanayo, Nkem Owoh, Timi Dakolo, and Sunny Mcdon, were all present as Emeka Rollas collected the money on behalf of the sick actor last weekend.